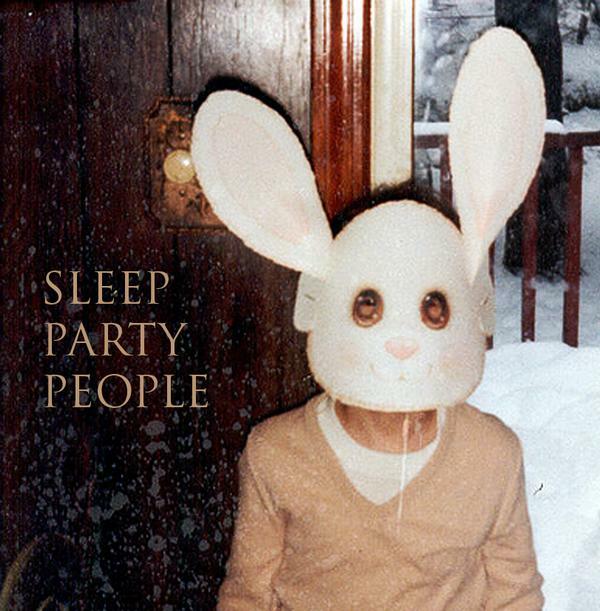 >Today’s New Band – Sleep Party People PLUS! Manflu Disaster! Gah! A New Band A Day is ill, in bed, feeling sorry for itself. The affliction? The dreaded MANFLU. The cure? Plenty of moron-lite daytime TV, Indeterminable amounts of honey and lemon drinks, handfuls of Aspirin, and, most importantly of all, new bands, taken three times a day. The wonderful thing about Manflu is that complaining pathetically is an accepted symptom, and however much it bugs everyone around the poor victim, the only method of feeling better is to keep whining. Some fevers you have to sweat out. Manflu requires you to whinge until the sickness has abated. Today’s New Band, Sleep Party People, are almost specifically designed for soothing poorly heads. They create softly ethereal music that recalls the most weirdly calming dreams you’ve ever had. 10 Feet Up seems to slink into your life, seduce you, and then slink out again, leaving you with only the memory of happy times. Our Falling Snow is as cold, gentle and fragile as the freshly drifting white stuff and I’m Not Human At All is just another indication that the pristine, gentle sounds might not be as charmingly naive as first seems. There’s almost menace in the combining of extreme sweetness and warmth with the sparseness and stiletto-sharp precision in Sleep Party People‘s songs. They’re almost too cosy, too delightful and sweet to be true – some kind of unseen dread is lurking out of sight, out of earshot, but not out of mind. Perhaps it’s Manflu. It’s beautiful terror, whatever it may be. Listen here! Posted on February 26, 2009 by Joe Sparrow. This entry was posted in Today's New Band and tagged Danish, I am calm, subliminal messages. Bookmark the permalink. ← >Today’s New Band – Screaming Maldini PLUS! Smell!